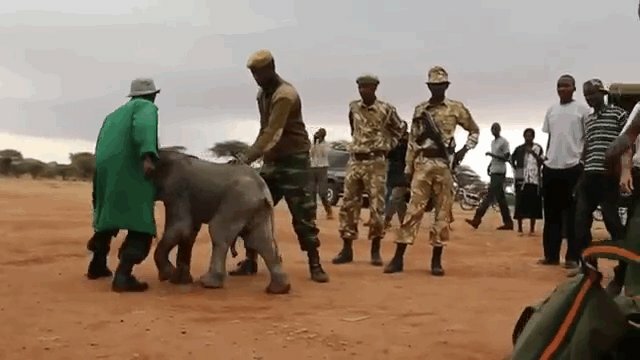 After a tiny baby elephant fell down a well in Northern Kenya, wildlife rangers from the Kenya Wildlife Service were on the scene. 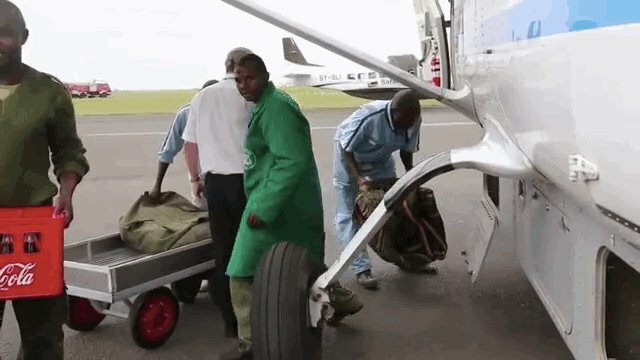 They needed more manpower, so they called the David Sheldrick Wildlife Trust, which quickly flew a team of animal care experts to the spot where the malnourished animal was being held. 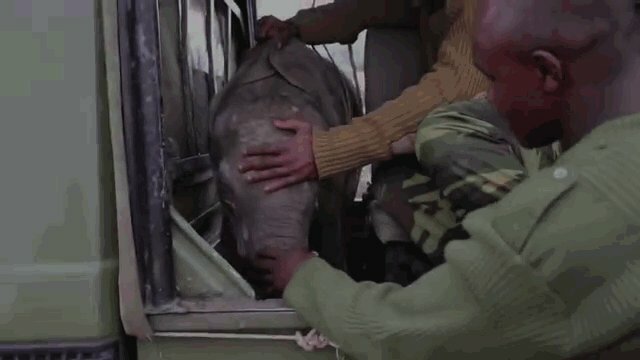 They rushed to the young calf, who was still in the care of rangers. 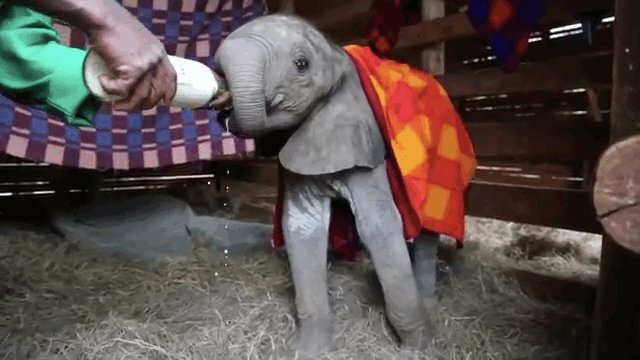 But he was calmed with milk from a bottle. 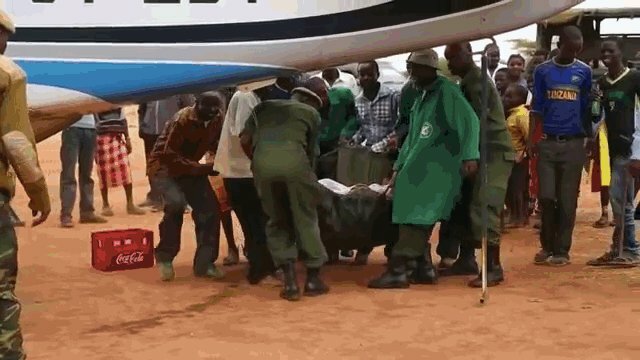 He was sedated and loaded into the plane, where he was watched over throughout the entire ride. ... And on the truck ride afterward. 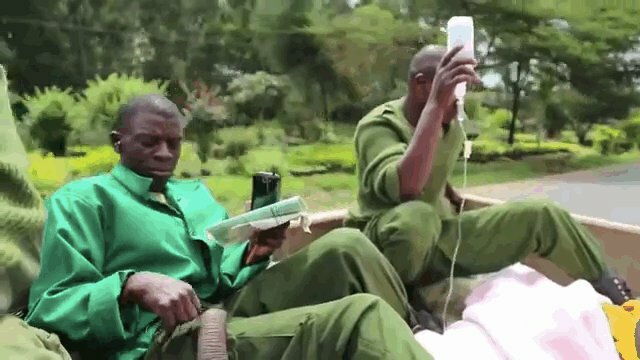 He made it to the nursery in Nairobi, where it was found that he had developed a bacterial infection because of the well water. But happily, the baby is now on the mend after a month of recovery. He was given the name "Murit," and he is getting stronger every day. 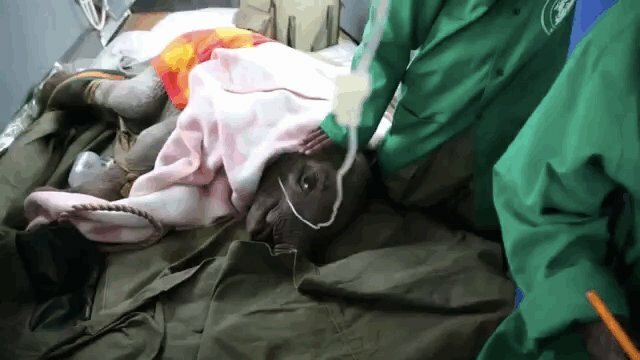 He's even learning to use his trunk - a sign of strength!